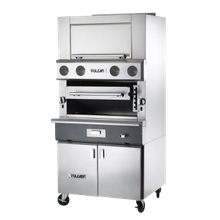 Whether you're operating a high-end steakhouse, a fast-paced burger joint, or a casual outside bar and grill, equipping your kitchen with a commercial charbroiler is a necessity. 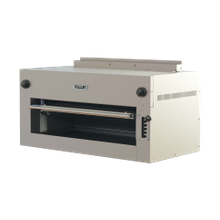 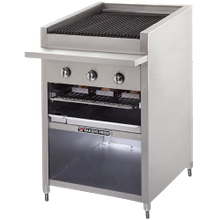 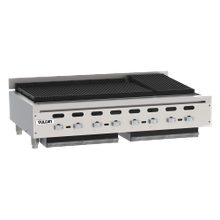 With a commercial charbroiler, available in gas or electric, you can guarentee a consistently delicious, smoky, and juicy piece of meat with eye-catching grill marks. 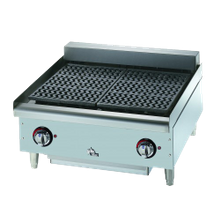 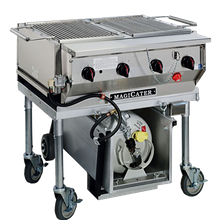 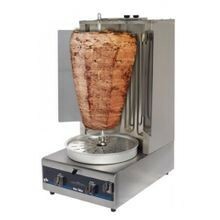 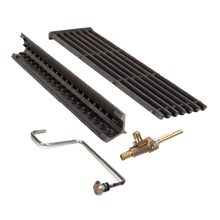 While all commercial charbroilers are designed to operate at very high temperatures, there are many options to choose from when deciding on the right charbroiler for your foodservice establishment; from countertop, freestanding and outdoor models to grate material, size, and optional burner/radiant type, we have a wide-selection of charboilers to fit the needs of your business, large or small.